10 Things You Might Not Know About THE EWOKS | Warped Factor - Words in the Key of Geek. 1. George Lucas originally planned to visit the Wookiee home planet of Kashyyk in Return of the Jedi, and this is where the Imperial shield generator would've been housed and destroyed. It had long been his thinking to have a tribe of primitive creatures responsible for bringing down the technological Empire. But as Lucas further developed the Star Wars saga and the Wookiee's were written as being clearly technologically skilled, he created the Ewoks instead. And as Wookiees are tall, he made the Ewoks short. 2. Another source of inspiration for Lucas came in the form of the Viet Cong guerrillas who menaced American soldiers in the Vietnam War. He drew upon this for the Ewoks actions during their defeat of the Galactic Empire. 3. The name Ewok came about in honour of the Miwok, a Native American tribe, indigenous to a Redwood forest near the San Rafael location of Lucas' Skywalker Ranch. It was in this forest that many of the Endor scenes were filmed for Return of the Jedi. 4. Just like Chewbacca, whom Lucas developed with his Alaskan Malamute in mind, the look of the Ewoks were based on another of his dogs, a Griffon Bruxellois (above). 5. Sound designed Ben Burtt created the "Ewokese" language for Return of the Jedi. He based it on a Russian dialect called Kalmyk which he felt sounded very alien to Western ears. Burtt managed to track down an 80-year old Kalmyk refugee, and he recorded her telling folk stories in her native language. He then used the recordings as a basis for sounds that became the Ewok language. As the voice actors recorded their scenes they were played chopped up recordings of the old woman's voice and asked to imitate the sounds in their own style. For the scene in which C-3PO speaks Ewokese, actor Anthony Daniels invented his own words, including the first use of the word "Naboo" in any Star Wars movie! 6. Before the origin of the Ewoks dialect was confirmed many people believed the little guys were speaking a form of Swedish. This is because a line in one of the Ewok songs, when translated from Swedish, reveals "it smells of cereal in here". It was long rumored that a cheeky extra had slipped that in, complaining about the stale air on the inside of his costume. However, the saying was just a coincidence caused by the chopping up of Kalmyk words, and a slight mishearing on the part of the audience. 7. 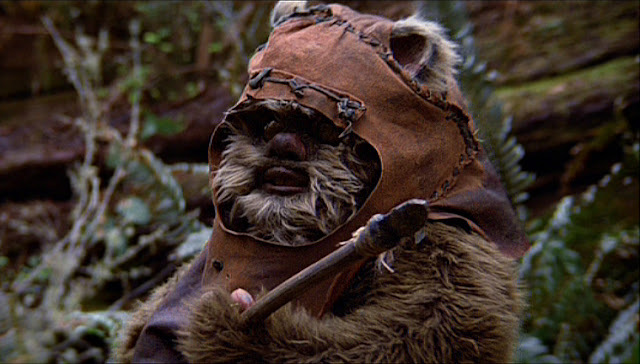 The word "Ewok" is not mentioned anywhere in Return of the Jedi, nor are any individual Ewoks referred to by name. 8. Eleven year old Warwick Davis was originally cast as an extra Ewok, as the man inside R2-D2 was to portray Wicket, the main Ewok in Return of the Jedi. But when Kenny Baker fell ill, George Lucas picked Davis to be the new Wicket after seeing how he carried himself as an Ewok in early rushes. 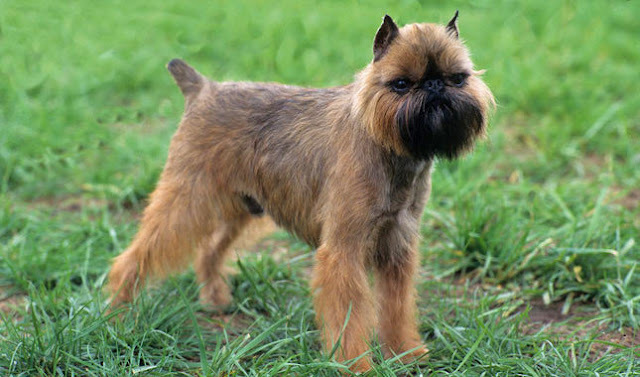 It's another K9 thing, as Davis said he based his Ewok movements on his dog, who would tilt his head from side to side whenever he saw something strange. 9. 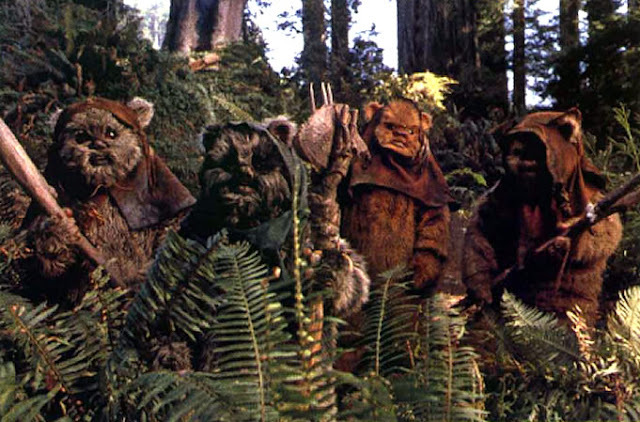 Premiering in September 1985, the Ewoks were the first Star Wars characters to have their own spin-off series. The Ewoks animated show was immediately followed by Droids, but of the two the Ewoks were the only one to get a second season. 10. The Ewoks also got themselves two made-for-TV movies in the mid 1980s, Caravan of Courage and The Battle for Endor. In an interview in the late 1980s Warwick Davis revealed that there was to be a third! Known only as Ewoks III, the plot still remains a mystery!